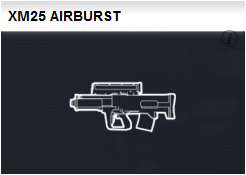 The XM25 Airburst is a pretty cool new grenade launcher available in BF4, but many people try to use it as a regular grenade launcher which isn’t very effective. The rounds will do a bit of damage if you directly hit an enemy or shoot the ground below their feet, but it will take far more rounds to get a kill then with the M320. As the name suggests, the grenades are designed to explode in midair. You can read about the real-life weapon here. Locate an enemy behind cover. Spotting your target will make it easier to keep track of him. 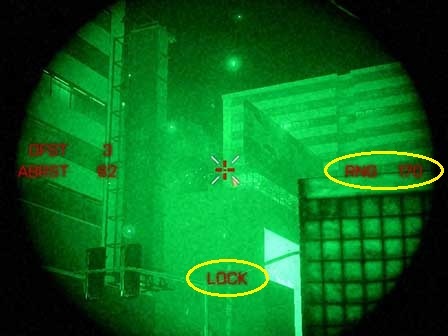 With the XM25 equipped, aim the reticle at the cover the enemy is behind, as shown below. 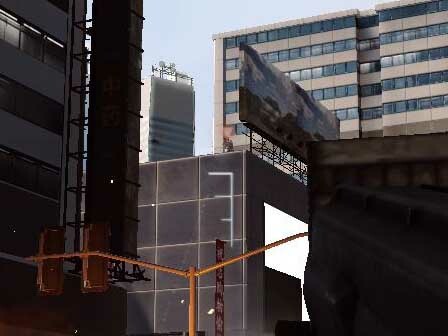 Aim your crosshair into the air above the cover, but as close to the enemy’s position as you can, as shown below. Hold down the fire button to launch as many grenades as it takes to bring down your target. You’ll see a damage indicator when your target is hit, as shown above. As you can see, the XM25’s a little trickier than some weapons. But there’s no better weapon for taking out enemies behind cover at long ranges. It’s perfect for hitting enemies atop a skyscraper or prone behind sandbags. Thanks thats really helpful normally i just spray at enemies long range doesnt work often but when i para in over them fire just in front of where theyre moving (often easy to track bcuz play obliteration alot and normally fire at bomb holder)i often get 3 kills with all the bodyguards and stuff trying to protect the bomb carrier lol.